The latest premiere to be confirmed is TEN’s MasterChef, premiering on Tuesday, May 5, at 7.30pm. That makes it a three way reality battle next week with House Rules, Reno Rumble and MasterChef -but TEN will be hoping the available renovation audience splits and they benefit as an alternative. In its first week the show will continue on Wednesday, Thursday and Friday at 7.30pm. 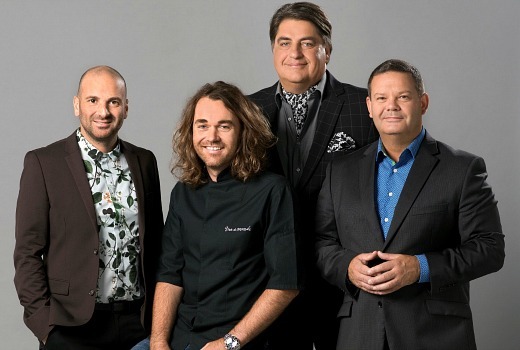 MasterChef Australia is set to return to our screens with a fresh group of home cooks eager to tackle challenges that will see one of them take home the title of Australia’s next MasterChef. These are ordinary Australians who can do extraordinary things for the love of food. As chefs, Gary Mehigan and George Calombaris are relishing the chance to mentor these high-calibre cooks, pushing them to better their best dish each time they tie their apron strings. Renowned food critic and fellow judge Matt Preston will motivate, educate and stimulate the contestants to harness their skill and creativity to continually raise the bar. Celebrated chef Shannon Bennett joins as a guest mentor this series, guiding the home cooks through testing times. Season seven also boasts some of Australia’s and the world’s best chefs including Maggie Beer, Massimo Bottura, Curtis Stone, Rick Stein, Heston Blumenthal and Marco Pierre White, to name just a few. TEN on Tuesday, May 5, at 7.30pm. TEN would absolutely romp it in if they went for a 7pm start for Masterchef. Many would start watching at 7pm and forget the other two starting at 7.30pm. Now I wonder which will finish the earliest? Will they all be 8.45 or 9pm finishes? I do wish they would start it at 7pm. (It was on then the first season.) The Project, also, in its earlier incarnation worked well as a half hour show; I rarely bother with it now that it runs for an hour. I think it is madness to go up against the 7.30 slot, but they do it every year. Will watch MChef, where the results are the contestants’ own work, unlike the renovation shows where tradesmen, not shown in much detail, do a lot of the work. Good luck to masterchef. I will be watching. Promos look really good. Cant see all three shows doing well. My prediction for the loser is reno rumble. MasterChef is still one of my favourite Australian shows. From the ads it looks to be an amazing season coming up. I can’t wait to get started! I for one am hoping that Ten scoops the pool. This is a no brainer for us. Zero interest in reno shows and Masterchef is still great. Now let’s hope Seven doesn’t move the MKR final to Tuesday just to screw everyone up! What will air at 7.30pm Monday the night of MKR Grand Final? During the MKR grand final, 9 and 10 might be well advised to telecast nothing more than a test pattern. It’s interesting that both Nine and Ten confirmed their schedule after knowing the grand finale date of MKR. Wise move from Nine and Ten though. It is going to be an interesting 3-way battle and I am actually excited to read about the ratings report every morning – hopefully not much of a blodbath! Your not hoping for much of a bloodbath. I hope they all get the axe because I have had enough of cooking and reno shows.